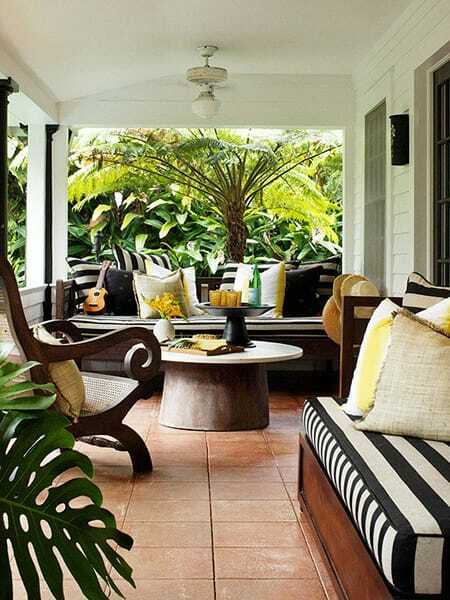 Stripes are one of my favorite patterns to decorate with because they are always chic and never go out of style. It doesn’t matter what style the rest of the decor is, stripes always work with it and can be counted on to provide some character and charm. 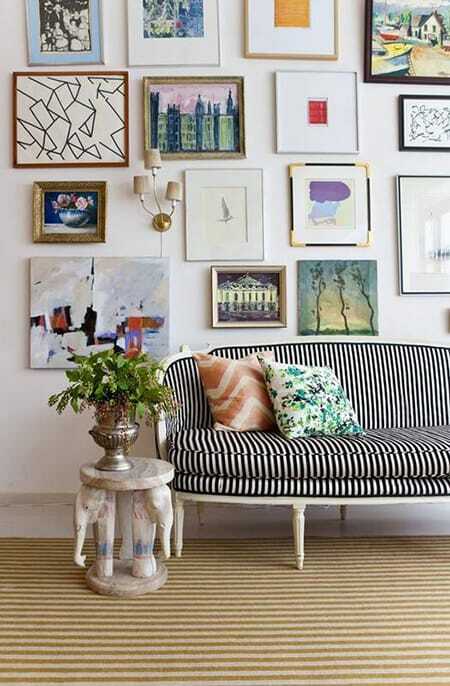 Striped furniture is a great way to bring this pattern into a space. As I said, it is a classic choice that never goes out of style, whether you want to use it on a large piece, such as a sofa, or a smaller piece, such as an armchair or ottoman. It all depends on the kind of impact you want to make. Striped furniture can be as bold or subtle as you’d like. 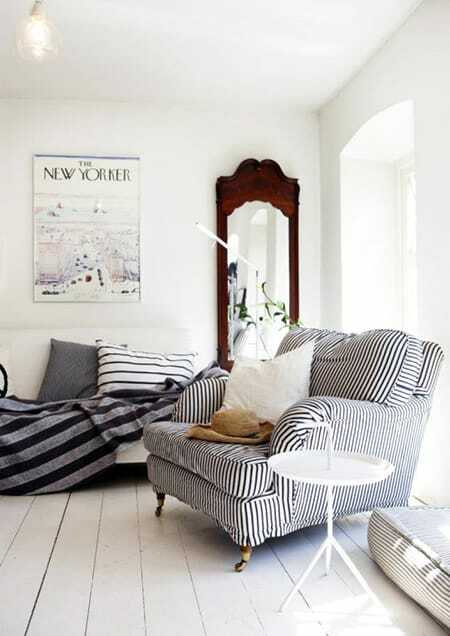 Here are 10 rooms with striped furniture that show how versatile and stylish this timeless look can be. 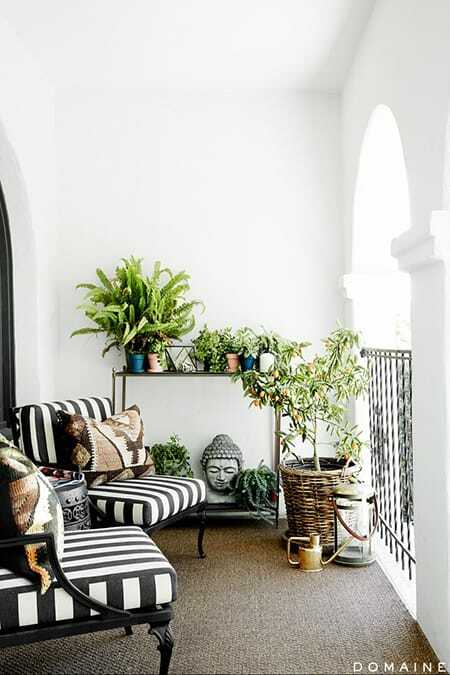 Black and white striped chairs add a chic touch to this balcony. Two end chairs in black and white stripes add a punch of personality to this elegant dining room. 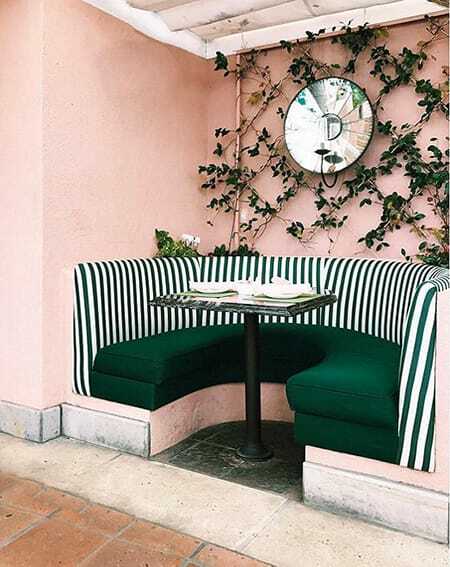 How adorable is this green striped booth? It’s easy to imagine it somewhere like the Beverly Hills Hotel. 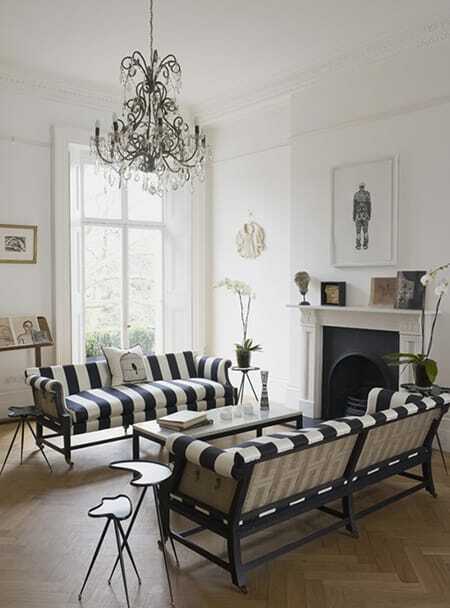 These black and white striped sofas are very Parisian. For a nautical look, you can’t go wrong with blue and white stripes, which look beautiful on the two arm chairs for an accent. Yellow accent pillows brighten up these chic sofas which compliment all the colors on display. Thin, elegant stripes bring a vintage flavor to this hallway. 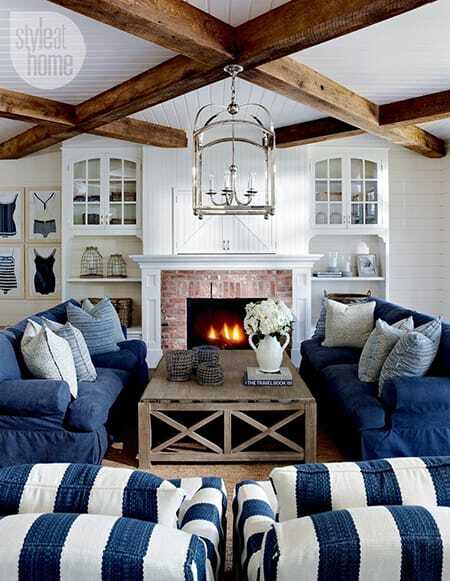 A subtle striped pattern on the sofa adds some extra charm to this cottage style living room. 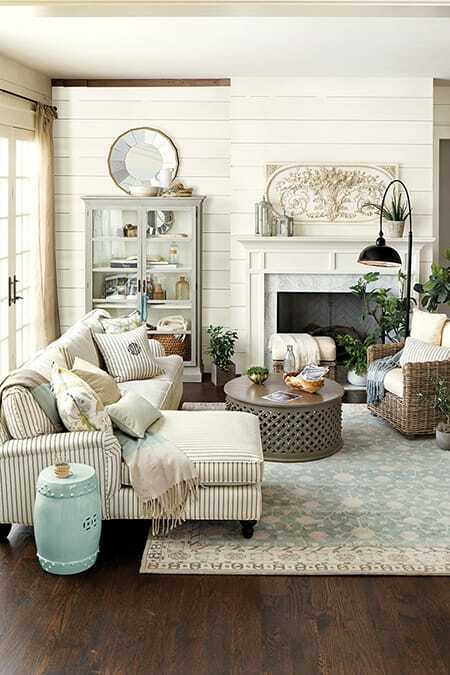 The vertical stripes on the settee are contrasted by the horizontal stripes on the area rug, both of which are chic but don’t draw too much attention away from the gallery wall. An arm chair is the perfect piece through which to bring some pattern into a space.